Add fun webcam effects to your face. Is there a better alternative to Fun Booth? Is Fun Booth really the best app in Video category? Will Fun Booth work good on macOS 10.13.4? 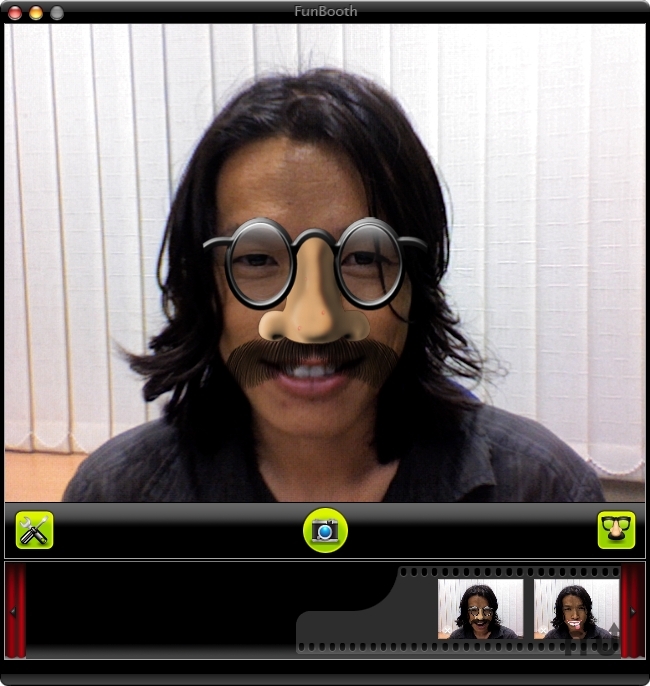 Fun Booth uses advanced face-tracking algorithms to perform real-time tracking of your face using your webcam / isight on macs to apply funny and real life props on your face. It includes Props Dock that let you access all your props and disguises. Built in control and settings allow you to modify camera output in real time and also allow you to adjust the prop more accurately to your face. It also allows you to export your taken photos in many ways including exporting to Flickr. Fun Booth needs a rating. Be the first to rate this app and get the discussion started!